A new channel has started in DVB-S2 Irdeto 2 & VideoGuard: beIN Sports 1 HD (Qatar) on 11012.00MHz, pol.H SR:27500 FEC:2/3 SID:2001 PID:411[MPEG-4] /412 Arabic,413 English,414 Arabic. 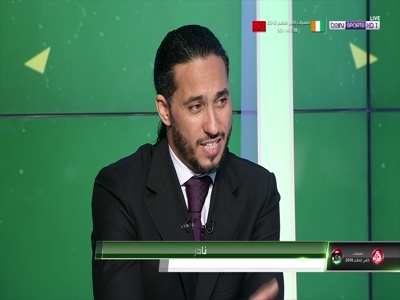 BeIn: beIN Sports 1 HD is now encrypted in Irdeto 2 & VideoGuard (12265.00MHz, pol.H SR:27500 FEC:2/3 SID:5201 PID:411[MPEG-4] /412 Arabic,413 English,414 English). BeIn: beIN Sports 1 HD (Qatar) is now transmitted Free To Air (12265.00MHz, pol.H SR:27500 FEC:2/3 SID:5201 PID:411[MPEG-4] /412 Arabic,413 English,414 English). BeIn: A new channel has started in DVB-S2 Irdeto 2 & VideoGuard: beIN Sports 1 HD (Qatar) on 3764.00MHz, pol.L SR:30000 FEC:4/5 SID:10401 PID:411[MPEG-4] /412 Arabic,413 English,414 Arabic. New PID for beIN Sports 1 HD: PID:411[MPEG-4] /412 Arabic,413 English,414 Arabic SID:5201 (11449.41MHz, pol.H SR:27500 FEC:2/3 - Irdeto 2 & VideoGuard). New frequency for beIN Sports 1 HD: 11449.41MHz, pol.H (DVB-S2 SR:27500 FEC:2/3 SID:5201 PID:211[MPEG-4] /212 Arabic,213 English,214 Arabic- Irdeto 2 & VideoGuard). A new channel has started in DVB-S Irdeto 2 & VideoGuard: beIN Sports 1 HD (Qatar) on 12380.00MHz, pol.H SR:27500 FEC:3/4 SID:2701 PID:514[MPEG-4] /670 English,671 English,672 Arabic. New frequency for beIN Sports 1 HD: 12284.00MHz, pol.V (DVB-S SR:27500 FEC:3/4 SID:2701 PID:514[MPEG-4] /670 English,671 English,672 Arabic- Irdeto 2 & VideoGuard). beIN Sports 1 HD (Qatar) broadcasts in DVB-S2 Irdeto 2 & VideoGuard on 11565.00MHz, pol.H SR:27500 FEC:2/3 SID:10301 PID:591[MPEG-4] /592 English,593 English,594 Arabic. BeIn: A new channel has started in DVB-S2 Irdeto 2 & Viaccess 4.0: beIN Sports 1 HD (Qatar) on 11547.00MHz, pol.V SR:27500 FEC:2/3 SID:10401 PID:411[MPEG-4] /412 English,413 English,414 English. BeIn: A new channel has started in DVB-S2 Irdeto 2 & Viaccess 4.0: beIN Sports 1 HD (Qatar) on 12265.00MHz, pol.H SR:27500 FEC:2/3 SID:5201 PID:411[MPEG-4] /412 Arabic,413 English,414 English.